Up to 25% per year Government Guaranteed Annual Return on Properties in Texas! Are you kidding me? Or is this just a load of bull pucky? There is no way that in these hard times with bank CD interest rates near 1% that any government agency of Texas or otherwise will guarantee an annual return on real estate that equals 25% per year. That must be impossible right? No. Not only is this possible, this has been going on for decades and the returns have been about the same at a very stable up to 25% per year guaranteed, with the possibility of making much more. OK, we’ve tugged on your cowboy hat to get your attention and we’ve jingled your spurs as well. What the hell is this government guaranteed investment? 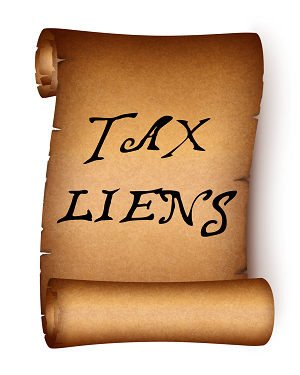 Drum roll, please… Property Tax Liens! You may think this is crazy; however, this is true. Depending on the county in Texas, the county offers guaranteed returns to investors who pay the property taxes on parcels or properties that have not paid their taxes. The Tax Collector in each of the counties of Texas has the right, under eminent domain laws, to seize a property for failure to pay property taxes and then sell it to another party who pays the delinquent property taxes. The property taxes on a specific piece of property are extremely delinquent. The County has made every attempt possible to contact the rightful owners of the property to demand that they pay the past due property taxes. After a certain period of time, required by law, if the property owners do not pay the taxes the property can be subject to auction proceedings where investors bid on covering the past due payments and sometimes pay a premium over what is owed in back taxes to have a chance to acquire a nice property for almost nothing. The county gets the money and the tax account for that property is no longer delinquent. The owners of the property have up to two years at the conclusion of this tax liens auction proceeding to pay the back taxes PLUS up to 25% per year for the money used by the investors to pay the property taxes. The rates of annual interest allowed for investors differ per each county in Texas, so check the local regulations. If the owner of the property fails to pay the property taxes and the interest fees that accrued, within the said two year period, the property title transfers, free and clear, to the investor who put up the funds to pay the back taxes. Contact us at Acres Solutions so we can help you develop a real estate investment plan that includes acquiring tax liens. You must have cash money on hand to participate in these auctions so this strategy is not for those without sufficient investment capital. However, if you have some spare investment capital and want to learn about one of the safest ways to invest in real estate that makes great returns, then call us today at 281-972-5535.